Welcome to the Barycentric Coordinates homepage! This website follows our minisymposia given at the 10th SIAM Conference on Geometric Design & Computing and the 2011 SIAM Conference on Geometric & Physical Modeling. It provides links to online resources, including slides and papers. 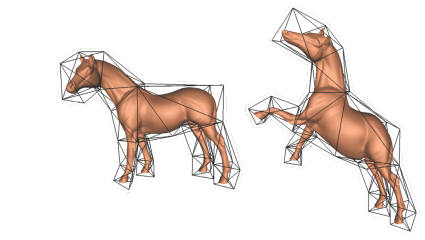 Local maximum-entropy approximation schemes: a seamless bridge between finite elements and meshfree methods.